EVP #1 - Below is our first EVP captured at Asbury. It is a clear voice saying "Boston" we can't explain why or how it is relevant. EVP #2 - We have never had interference affect our recording devices. But as you can hear in this amazing clip our recorders start humming and you hear a "AHH (Breath)* twice in this clip. We can not explain why our devices started acting funny. We have recorded a lot of things and never had this happen...it is not because of a cell phone also we attempted that test and they never had any effect on our recorders. EVP #3 - Below we captured an EVP that is a little hard to hear but clearly there. I am speaking and at this moment I feel something like a cold blast and it feels like it is coming right up to me. You can hear me say something to that affect. Almost at the end of the clip you can hear and disembodied "SHHHH". EVP #4 - Below is an amazingly clear EVP of a deep breath that we can not explain. It was obviously none of us. You may not even need earphones to hear this EVP. 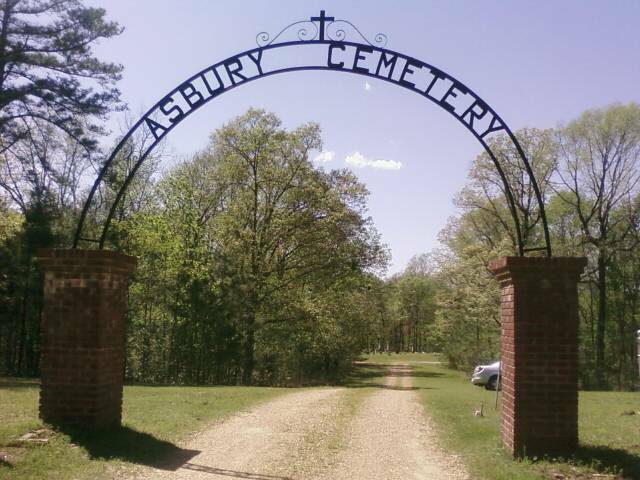 "Deep Breath"
EVP #5 - This starts recorded number 2 in Asbury cemetery. This is the second recorder recording the "boston" evp from earlier and included is the "disturbance and deep breath" all in one long EVP we have several things happening. This is amazing!! There is "boston" voice, another unexplained voice, disturbance, deep breath, another deep breath at end. All this in one recording. The disturbance occured when Matthew mentioned that he wished that we had a camera. EVP #6 - This is an AMAZING CLEAR AND LOUD EVP!! This is NONE of us! We can not explain this EVP or make out what it is saying!! Just listen!! No earphones needed!!!! AMAZING!!! !